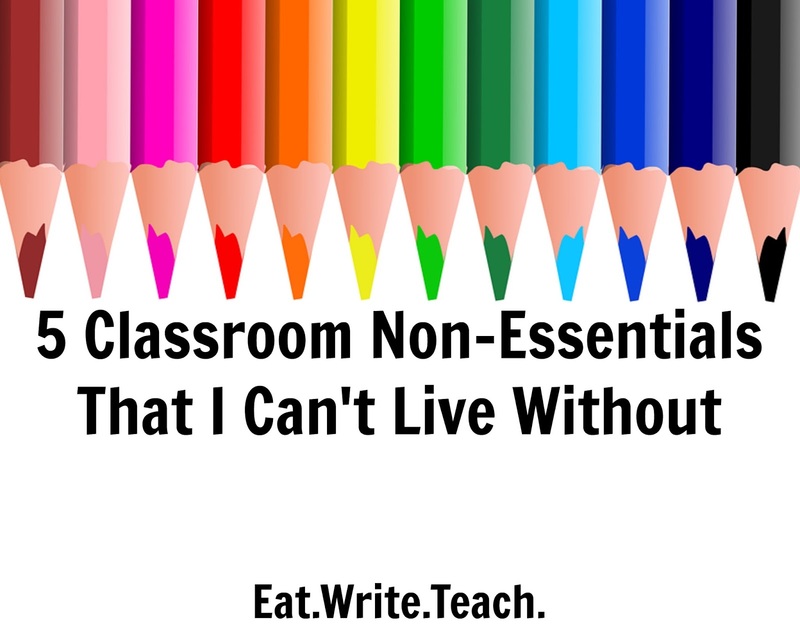 Back in July of 2013, I wrote a blog post called Classroom Must-Haves for the First-Year Teacher. It has been one of my most popular posts to date. As I've been preparing my classroom this week for the 2017-2018 school year, I've noticed that the things I suggested as must-haves back then are still must-haves now (though I would probably add the Classroom Operations Binder as a must-have now). I've also realized that there are a few splurge items that are by no means essentials... but I don't think I could live without them now! So if you're at the point in your career where you are ready to splurge a little on some non-essential-but-hella-useful items, allow me to suggest five. Quick note: I'm not being paid by any of these companies to say any of these nice things. I just like these products. I bought one of these last year and I don't know how I lived without one! There's a fairly strict and unspoken no-one-touches-the-laminator-besides-the-librarian rule in my building, so I just never laminated anything. Now that I have the Scotch Laminator, I laminate ALL THE THINGS. Don't worry, you'll see when I post my 2017-2018 Classroom Tour. Everything is super shiny and safely sealed in plastic! 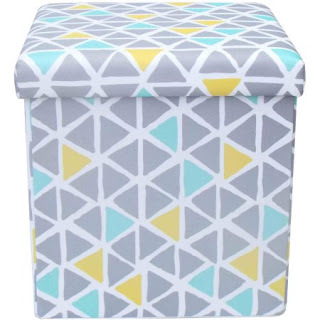 I bought one of these collapsible storage ottomans last year and got a ton of use out of it. So, naturally, I bought two more this year. They are currently all pushed together to create a bench. They are deep, so they can store tons of supplies, and they are sturdy so they can serve as alternative seating. Love them! I was fortunate enough to have a Point 2 View IPEVO document camera donated to my classroom a few years ago. At only $69, it is an inexpensive option with high utility. I love that I can detach the camera from the stand and move it around. The quality isn't as crisp as I would like for it to be (in fact, I am hoping to upgrade this year), but it serves its purpose. 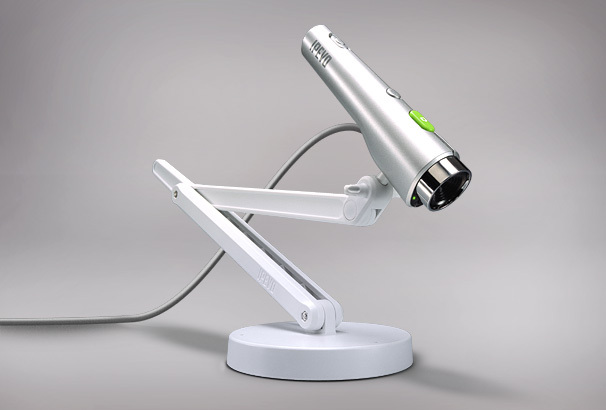 I use my document camera multiple times a week. I received one of these from the folks at Teacher's Pet to try out and, I gotta say, I'm in love with this thing. Have you ever noticed how the typical eraser wipes up the ink and you get little bits and pieces of ink dust or residue or whatever that rains down on your chalk tray or on the floor or your khaki pants if you are quite vigorous with the erasing? This big old cutie is made of microfiber, so it grabs the ink residue and holds onto it. The best part is you can throw it in your washing machine! 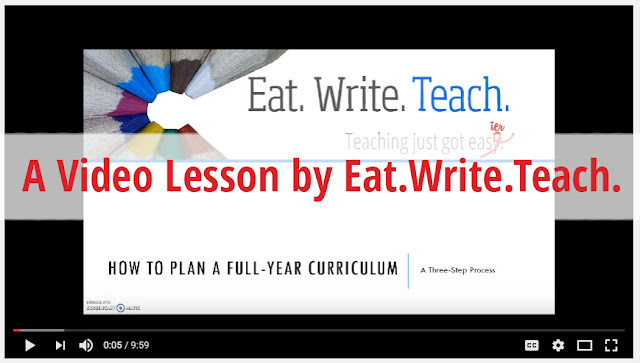 As a teacher, I like worthy investments that will save me money in the long run. 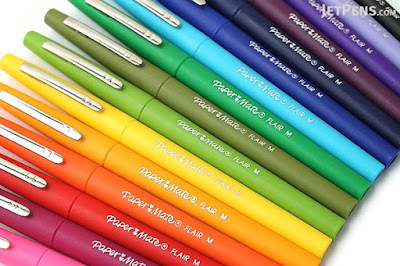 No more broken Styrofoam erasers or ink sprinkles everywhere! 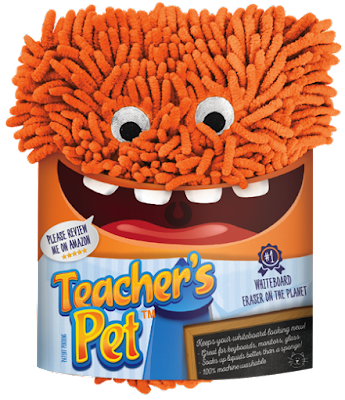 The cool people at Teacher's Pet were kind enough to give me four extra Teacher's Pets to give away to four lucky readers! Enter to win below! 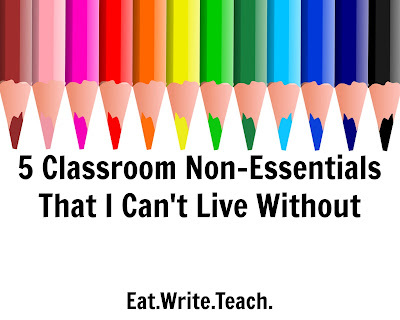 What are your non-essentials that you love love love? School starts next week for me! Wish me luck! P.S. - 2017-2018 Classroom Tour coming soon!